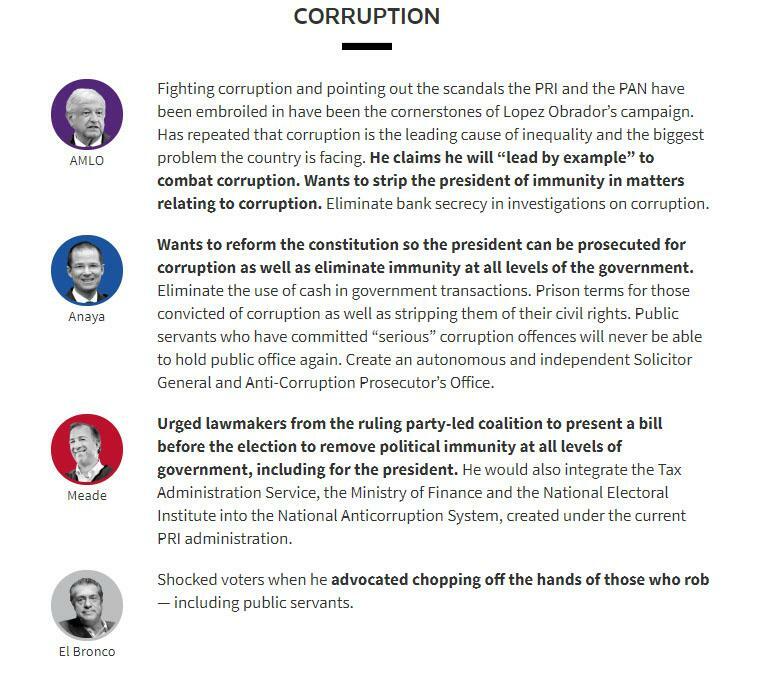 Mexico - where over 100 politicians have been killed in the past year - will hold its general election on July 1, electing a new president, 128 members of the Senate and 500 members of Congress, while local elections will also be taking place in 30 of 32 Mexican states. 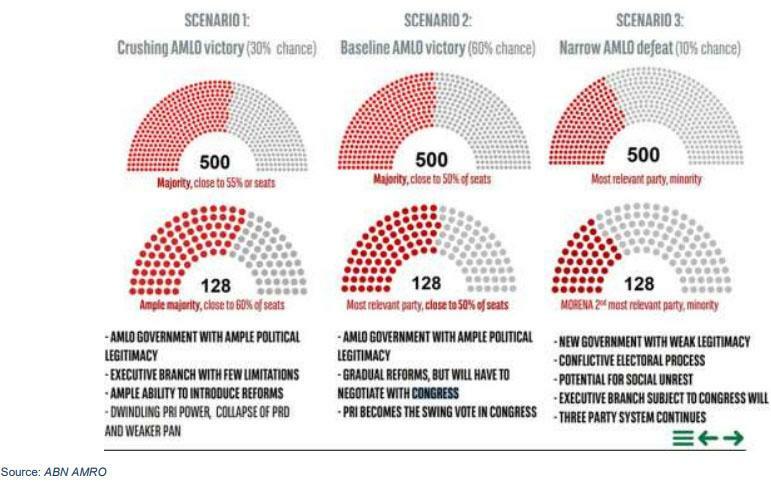 Recent polling overwhelmingly suggests that the Latin American country will be the latest domino to fall to the global anti-establishment wave, and will elect its first "leftist populist" - some say socialist president - in a generation with potentially far-reaching consequences for the country’s oil industry, trade policy, crime fighting and relations with the United States. 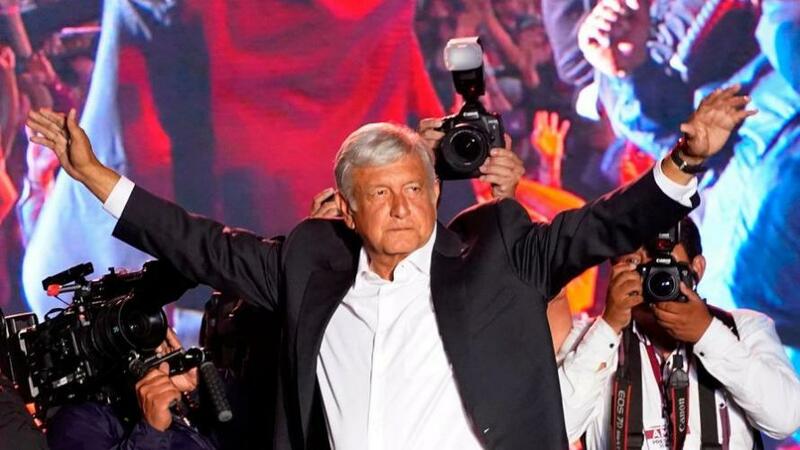 Andrés Manuel López Obrador - Juntos Haremos Historia (MORENA, PT & PES) - Andrés Manuel López Obrador (AMLO) has run on a populist platform of economic reform that has been underlined by a desire to freeze prices of gasoline in Mexico for 3 years, as well as a reduction of external investment in the energy sector. 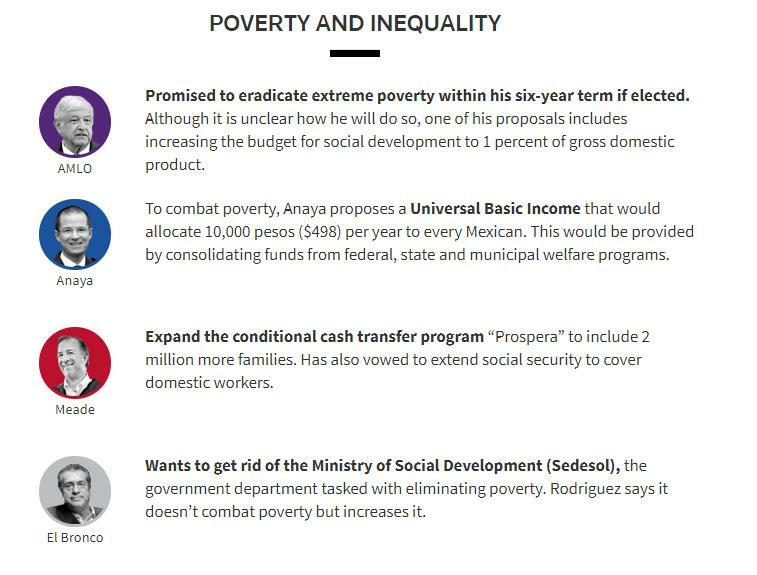 He has also suggested an increased level of social spending that will be funded by increased debt issuance. 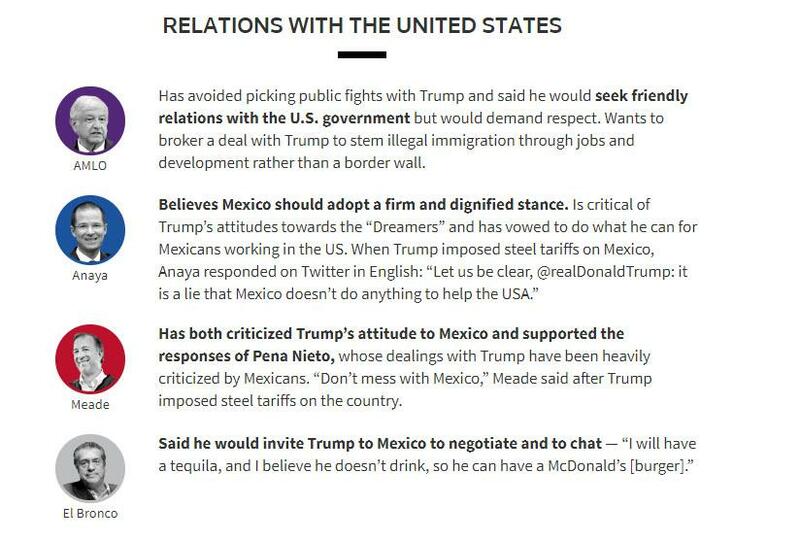 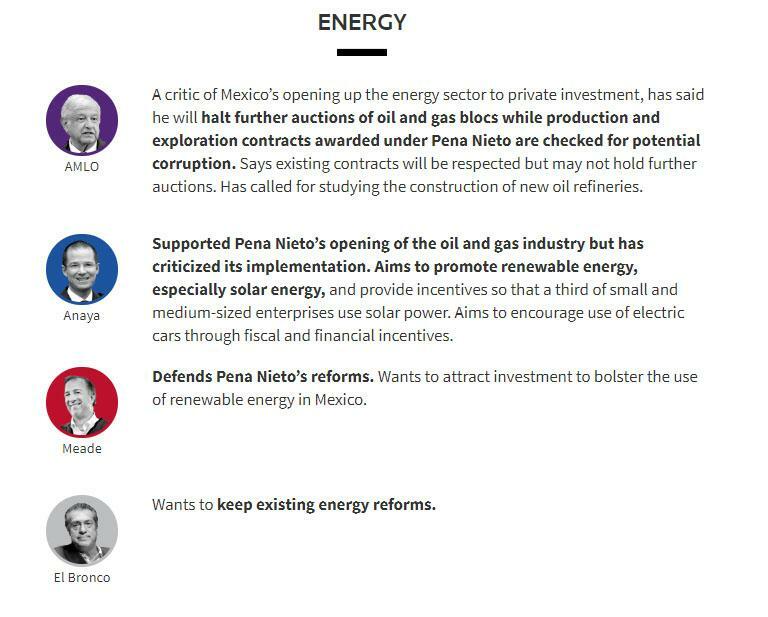 José Antonio Meade - Todos por México (PRI, PVEM & Nueva Alianza) - Meade will be the candidate of the most economically favourable coalition Todos por México, with centrists PRI the most popular party within the coalition. 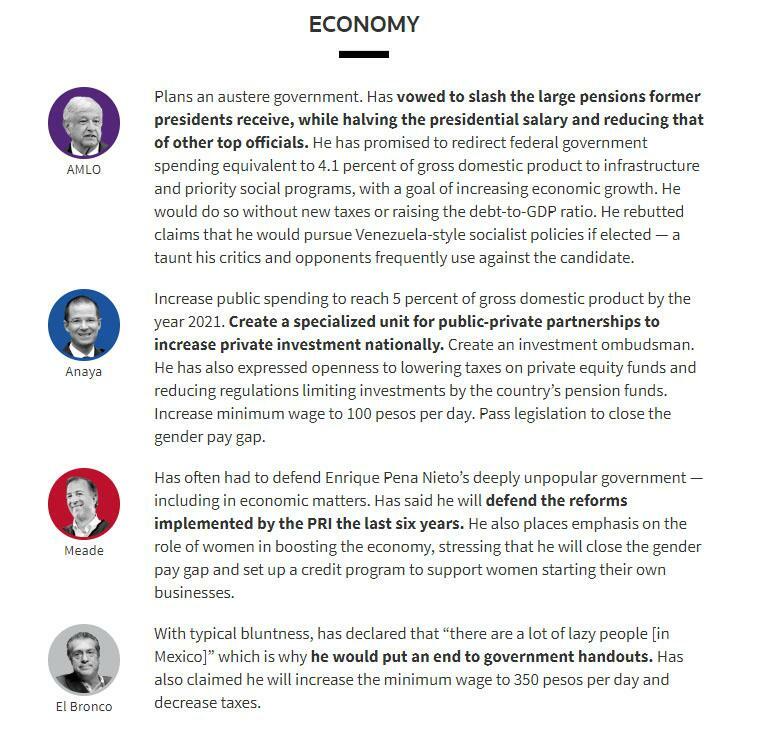 Meade will be replacing the incumbent President Nieto, and the party has been judged to be a market positive as it offers fiscal continuity to a growing economy. 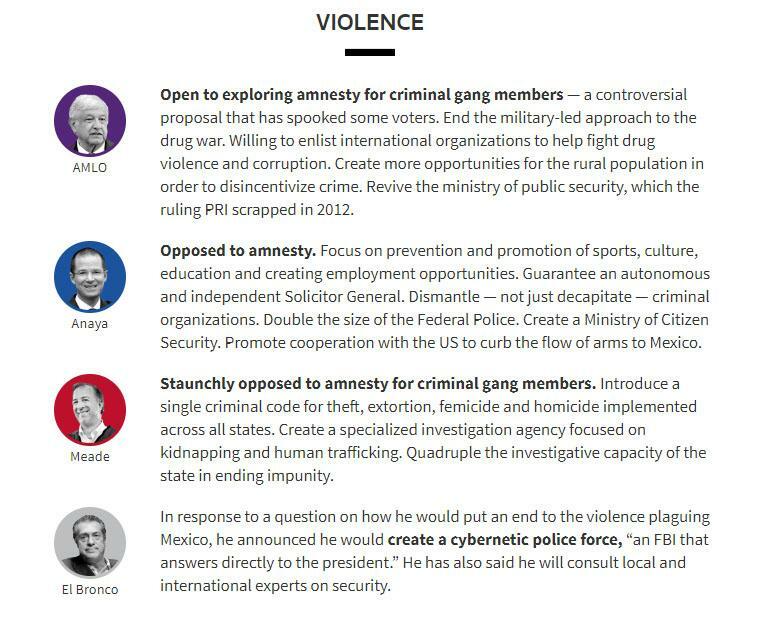 Ricardo Anaya - Por México al Frente (PAN, PRD & MC) - Anaya will head the Por México al Frente coalition and is the current President of the PAN party. 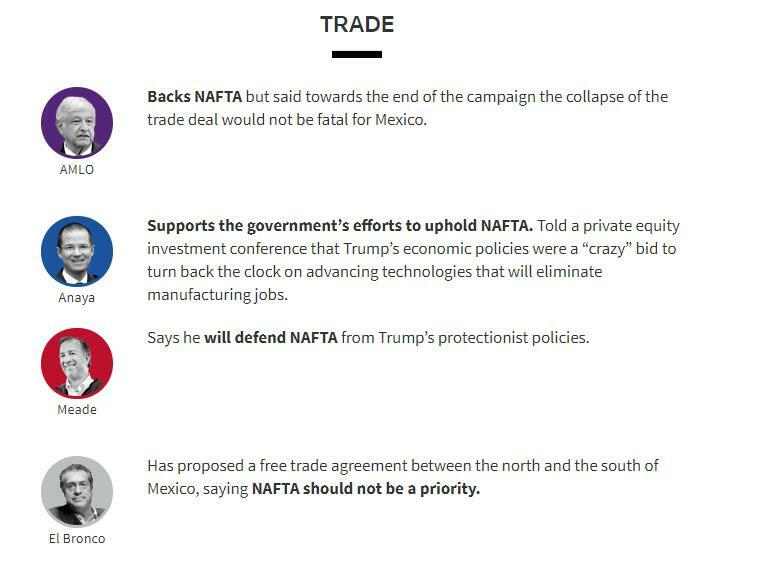 The right leaning PAN party is an advocate for privatisation and advocates free enterprise and thus free trade agreements (market positive for the NAFTA deal).